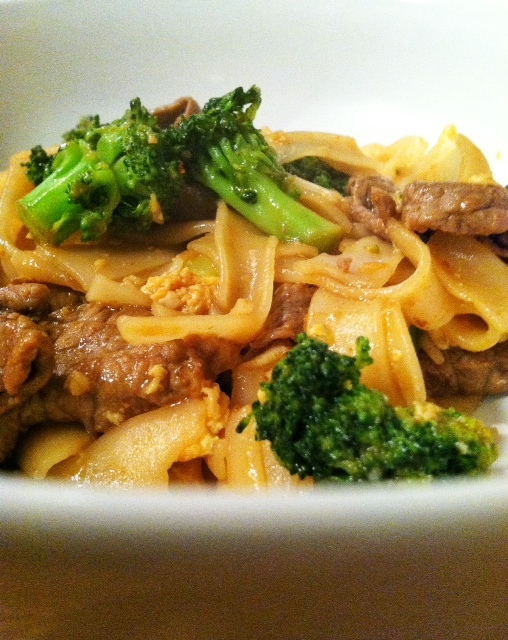 This is one of the few steak dishes I enjoy at Thai restaurants. Usually I am inclined to order chicken or tofu. 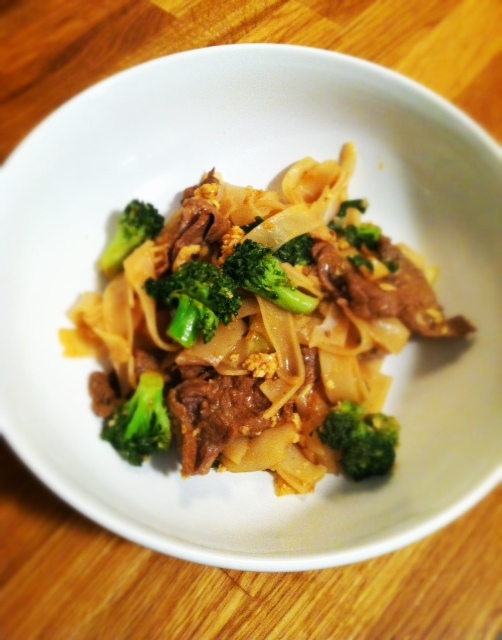 After a recent trip to a sweet local Asian market, I picked up some of the ingredients for this Pad See Ew recipe that I created. 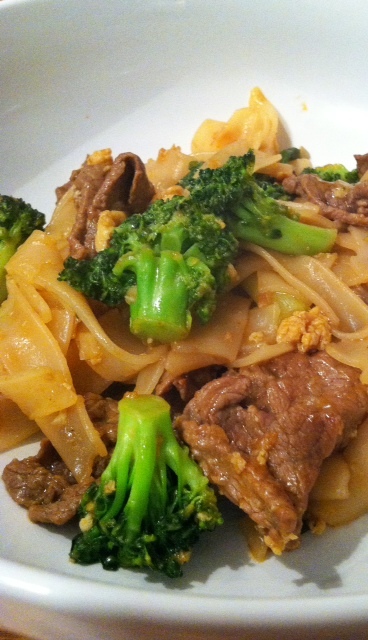 I think this is the perfect dish to aquatint someone, who may be nervous to try new things, with Thai food. I’m not sure this is authentic but I loved it and it’s Monday, so give me a break. 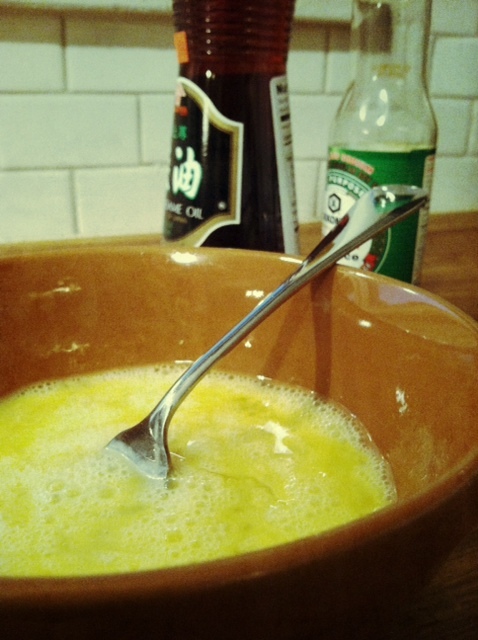 when the noodles are softened, drain and drizzle with oil so they don’t stick together. Now get everything ready so you can work fast. the skillet is going to be hot. 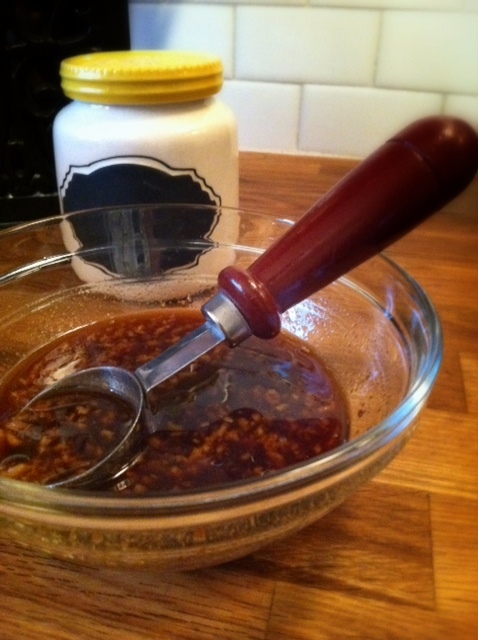 In a small bowl add one tablespoon of soy sauce and one tsp brown sugar. Stir and add sirloin, toss to combine. Set aside or refrigerate for at least 15 minutes. In a separate small bowl, combine the other 3 tablespoons of soy sauce, the remaining tsp of brown sugar, sriracha, red wine vinegar, fish sauce and garlic. 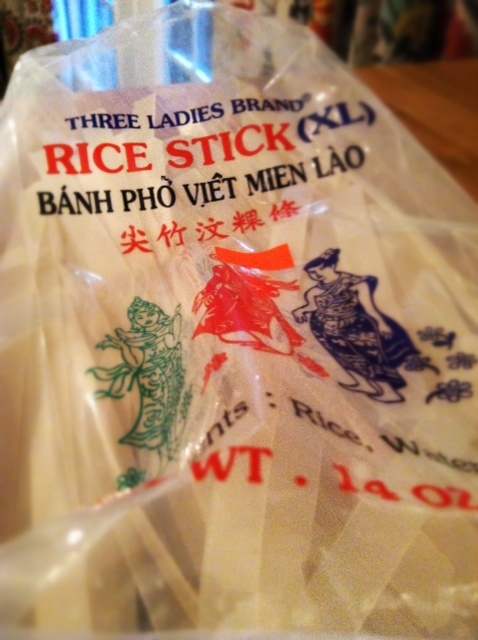 Bring a large pot of water to a boil and add rice noodles. 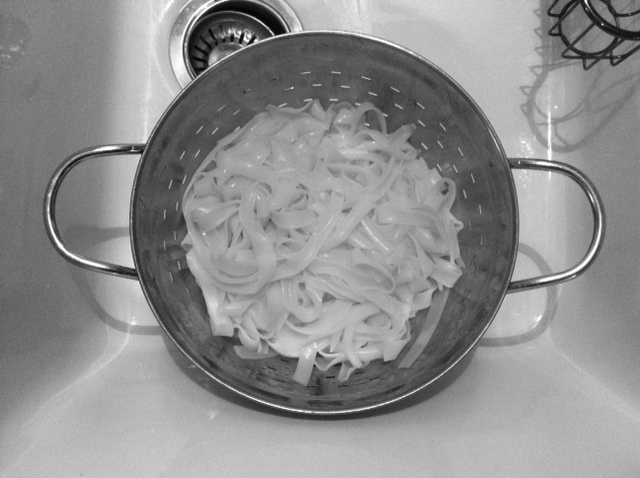 Turn off heat and let noodles soften. Drain and drizzle with a little olive oil so they don’t stick together. 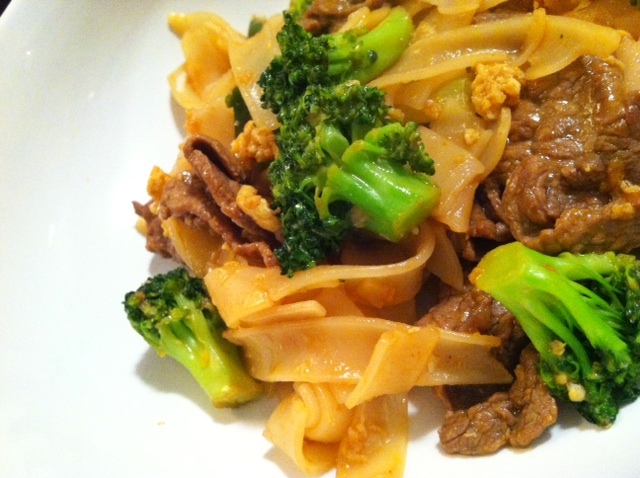 This should take around 8-10 minutes but don’t let the noodles get mushy. This is the point where you want all your items to be ready because they cook fast! Heat 1 tablespoon of sesame oil on medium high heat and let the oil get hot. 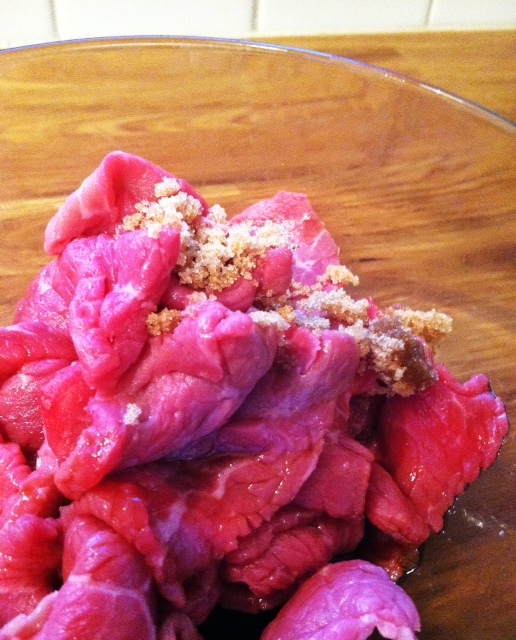 Add steak and a tablespoon of soy/vinegar mixture and cook 3-4 minutes until beef is medium rare. 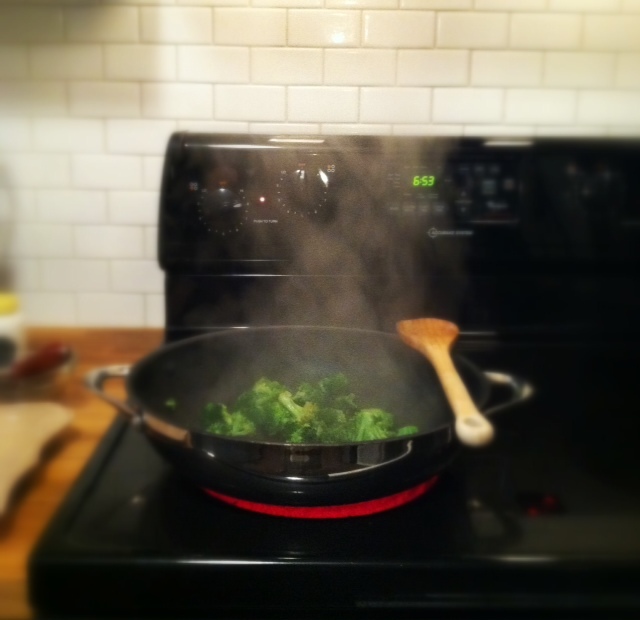 Remove from pan to a plate to rest. In the same pan, heat the other tablespoon of sesame oil on medium high and add broccoli and a tablespoon of soy/vinegar mixture. Cook 3-4 minutes until tender adding a tablespoon of beef broth, every minute. Add green onion and saute a minute more. Add eggs and stir often until done. 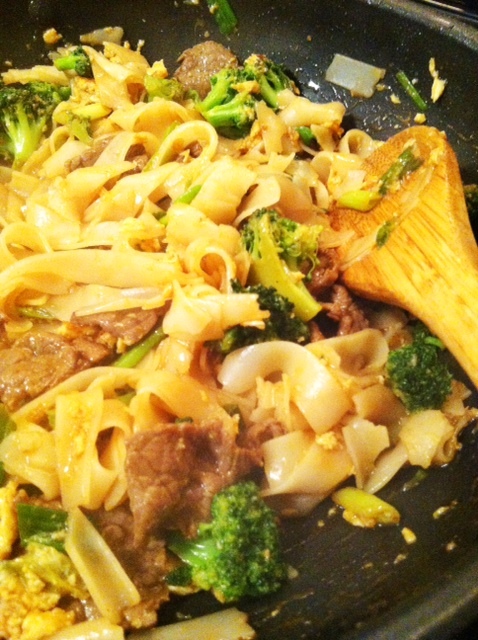 Add softened rice noodles,sirloin and remaining soy/vinegar mixture to the pan. Toss to coat and remove from heat.